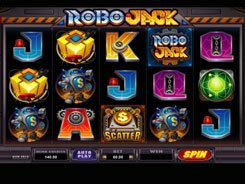 The 243 ways to win slot from Microgaming takes you to a cranky scientist’s lab where the crazy doc and his quirky assistants invent bizarre devices: robots, laser guns, some eyed alien slime, etc. You can bet from $0.3 to $120 per spin, so the stakes are truly affordable for every budget. The low-paying icons of a phial, a human brain, a microscope and a gun award 5 to 150 coins for three, four or five of a kind. Other regular symbols create more valuable combos that pay out up to 750 coins. 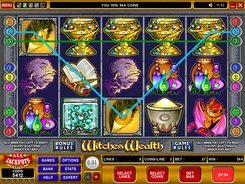 The top jackpot win of x2500 times a bet is awarded for five wild symbols (the Dr Watts Up logo) landed on an active payline. 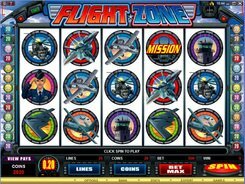 For 3+ scatters anywhere on the reels you get 10, 15 or 20 free spins, during which any reel can randomly turn wild. The Laboratory Bonus is activated when three Lab Rats appear on reels 1, 3 and 5. On the second screen, you will have to pick two chemical tubes out of 12. The doc then mixes the contents of both and calculates your cash prize. 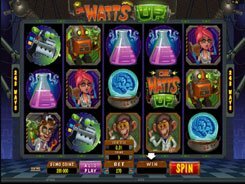 The slot has vibrant graphics, catchy animations and an engaging theme that have made Dr Watts Up a huge hit among gamblers.